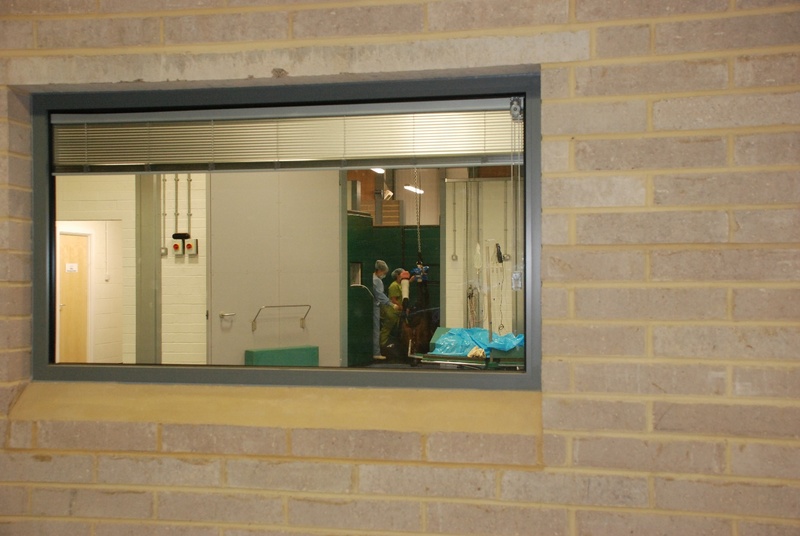 Our surgical facilities comprise of a custom built theatre, a pre-induction area, two induction / recovery stalls, a pre-theatre scrub area for the horse and a large fully equipped operating theatre. 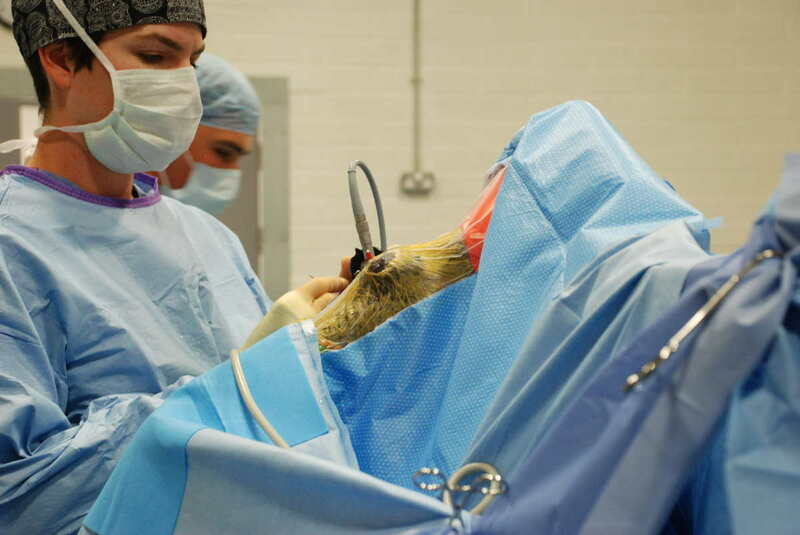 Anaesthesia is maintained on gas or a combination of gaseous and intravenous anaesthetic agents. An infusion pump is used to ensure intravenous agents are given at the correct rate and we have a ventilator to ensure correct delivery of anaesthetic agents. For the more critical anaesthesia patients anaesthesia is monitored using an ECG (capnograph), invasive or non-invasive arterial blood pressure and pulse oximetry. Arterial blood gases and electrolyte concentrations can be analysed during surgery if necessary. 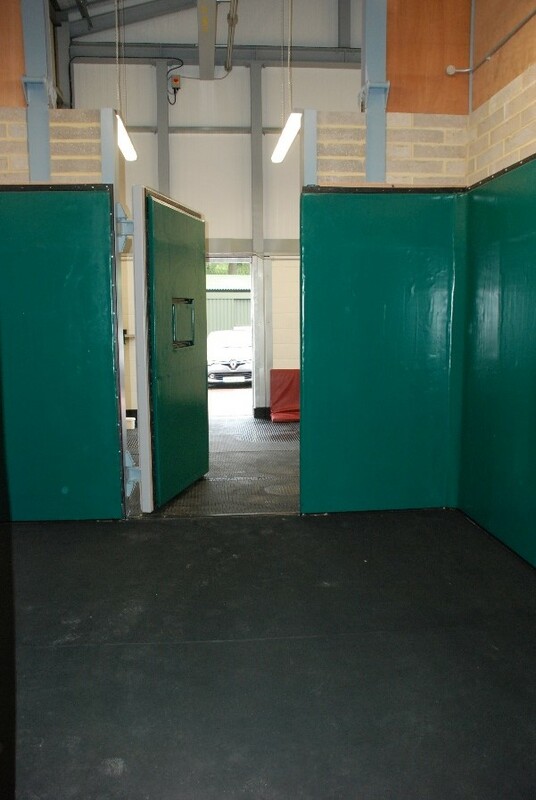 The two recovery stalls are both equipped with CCTV and rope-recovery facilities to aid our patients in standing safely after their anaesthesia. 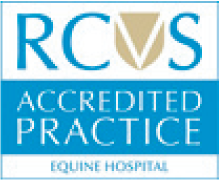 The surgery facilities allow us to perform a variety of procedures from keyhole arthroscopy / tenoscopy surgeries to caesareans and colic surgeries. The new facilities are also designed to allow intra-operative diagnostic imagery including, ultrasound, radiography and CT.